I am SO excited to announce you to today’s guest blogger, Carly from Createlive. Carly has such a fun and cute blog filled with amazing posts. She is here to share a mouth watering recipe with all of us today! You are in for a real treat!…in more ways than one! :) Take it away Carly!…. I’m Carly from Createlive, where I blog daily and focus on DIY, decor, fitness, and last but certainly not least, finding delicious ways to put a healthy spin on food. 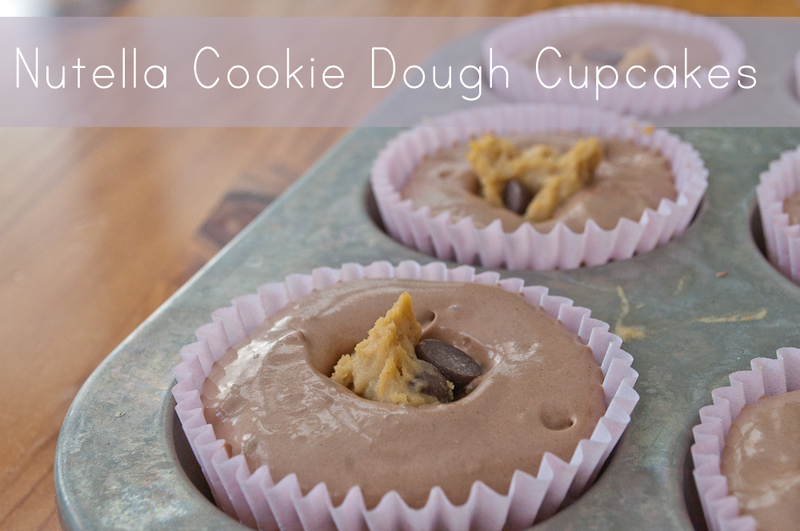 Today’s recipe is Nutella Cookie Dough Cupcakes. Thing number two.. cookie dough is delicious but I’m not a huge cookie dough person. After making Cookie Dough Dip using Chickpeas, I was determined to continue making this delicious treat… but I can’t bring myself to make the exact same recipe over and over and over. Gotta reinvent. 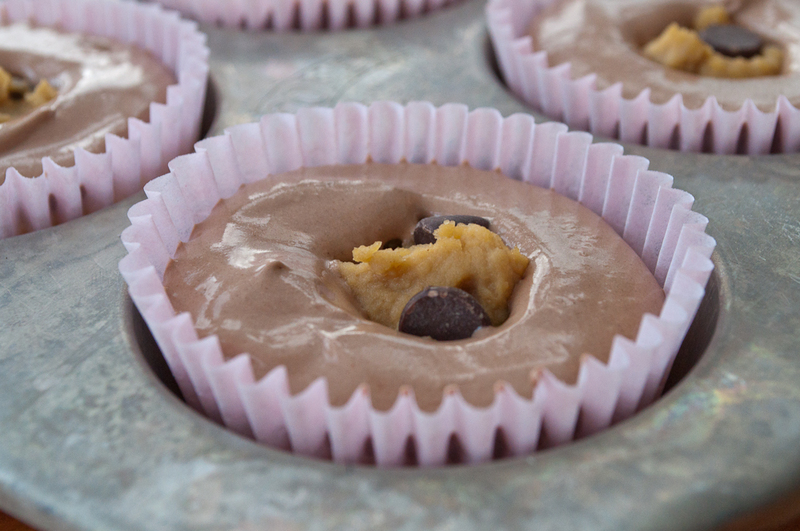 It’s an addiction of some sort.So… how do I combine Cookie Dough Dip with Nutella? Put it in a cupcake? Hmmm… it does sound like a great idea… and, as it turns out, ’twas. Don’t you love when that happens? 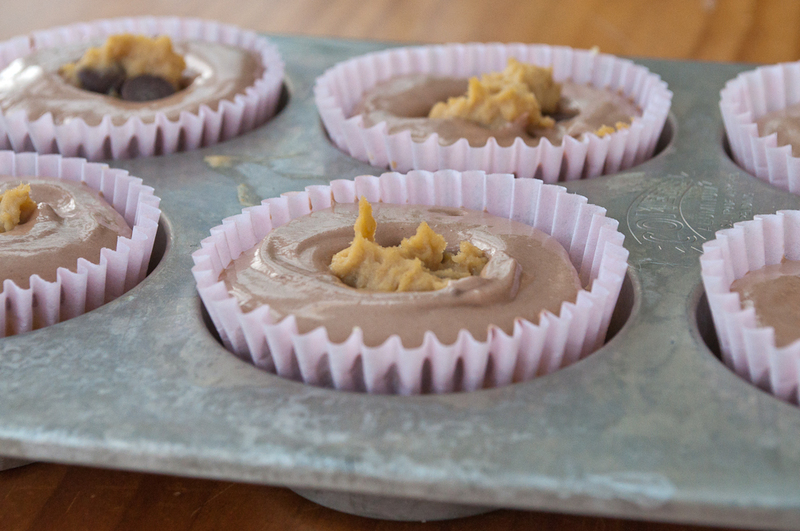 3 tablespoons Cashew butter (or Almond butter. Peanut butter also works but definitely adds a peanut-ey taste). In a mixing bowl, combine cake ingredients until well mixed. 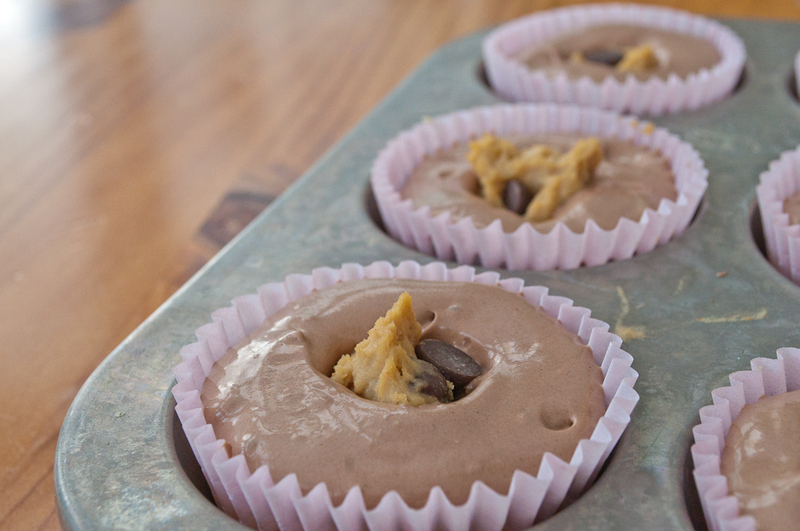 Pour 2/3 into paper-lined cupcake tin and bake for 18-22 minutes. Meanwhile, combine all cookie dough ingredients — EXCEPT for chocolate chips — in a bowl and mix well. I used a magic bullet but wouldn’t be surprised if a high powered blender is also effective. I’ve also tried using a hand-held blender and have to say that’s probably my favorite method. Once there are no longer any visible whole chick peas, add chocolate chips and stir. Remove cupcakes from the oven and let cool. 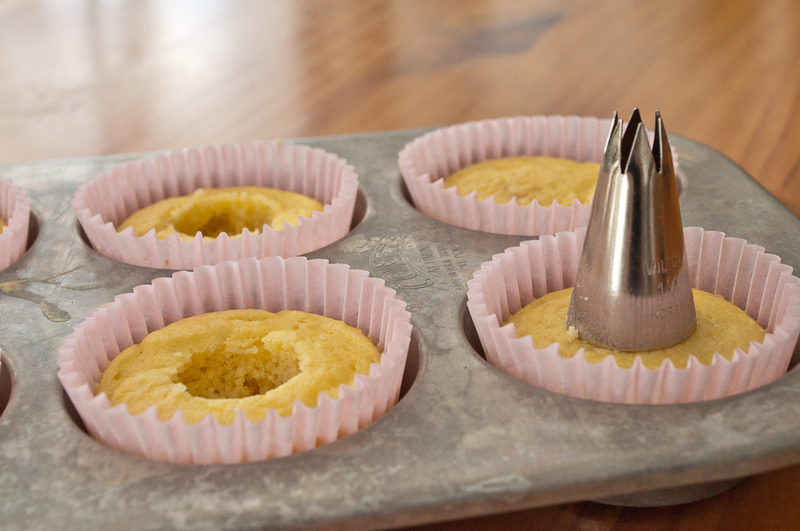 Then, using the back-end of a frosting tip (a knife or spoon will also work), remove a hole in the center that is less than an inch deep. Fill hole with cookie dough. I used two spoons to do this but am thinking that it would also work in a ziplock bag with an end corner cut off. 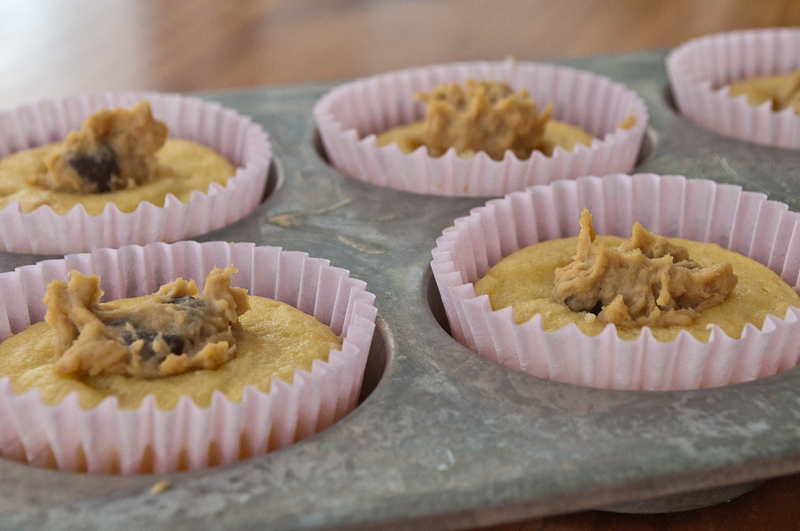 Leave a bit of cookie dough poking out the top as an obvious sign of what’s inside. 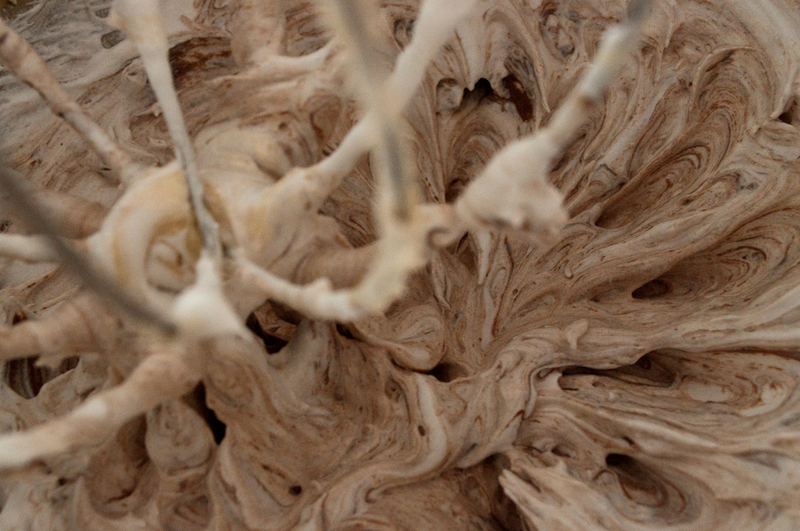 To prepare frosting, combine cool whip and nutella and mix on medium for 1 minute. Scrape unmixed parts down into the bowl and then mix on high for 2 minutes or until all frosting has become a consistent color. Pipe frosting around the cupcake. 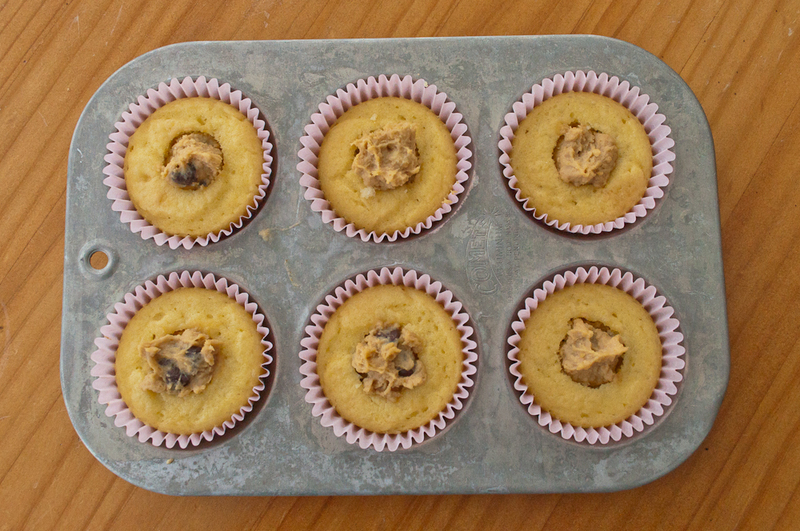 I chose not to cover the cookie dough, because I was making a few different types of cupcakes this day and wanted it to be easy to keep track of which was which. Don’t those look absolutely AMAZING?! Thank you so much Carly for coming to visit today to share this incredible recipe! These just don't look amazing. I am sure, they are amazing. These look wonderful! I will definitely try this recipe soon. All I can say is YUM. I'd risk eating nutella (even though I'm mildly allergic to them) for these cupcakes. Hmmmm, I am very intrigued by using chickapeas for chookie dough. I just have to try it!!! These cupscakes look mighty good!! If you Nutella, I will bake it, I will eat it...!!! You took the words right out of my mouth. They look "Amazing!" love this idea...sounds great...will return again...hope all goes well with school.....I am 73yrs old....and I still question..."WHATEVER HAPPENED TO HOMEC IN HIGH SCHOOL" ??? it was great fun for me.......I am proud to know you area going after something "SPECIAL" for your life...congratulations....keep up the good work..